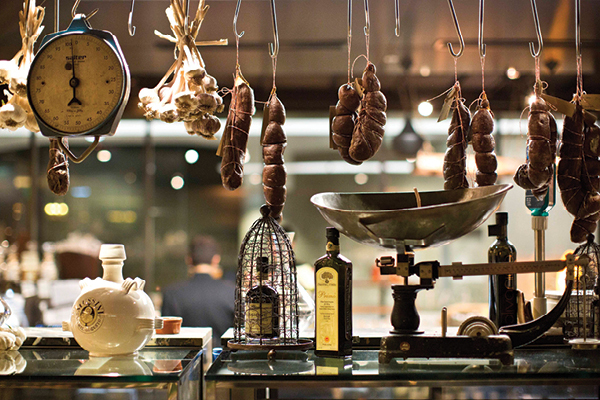 We share the secrets on how to make great salami and discuss all things meat! In this hands-on cooking class, you’ll learn how to make your own salami from scratch, including seasoning and the art of curing. Imagine your family’s face when you take home your delicious perfect cured salami! Studies have shown that culinary team bonding events are far more effective and produce longer lasting results than traditional team activities. 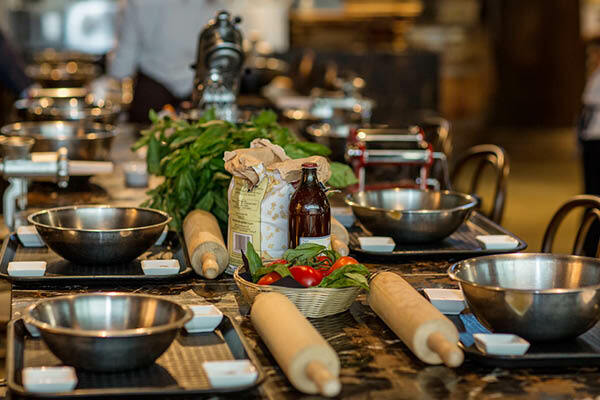 The Signorelli Gastronomia cooking class programme has been developed to compliment local and seasonal produce. Pizza and Pasta classes are tutored by our talented chefs sharing their information, techniques, ingredients and love for all things food. LOOKING FOR A UNIQUE GIFT IDEA? 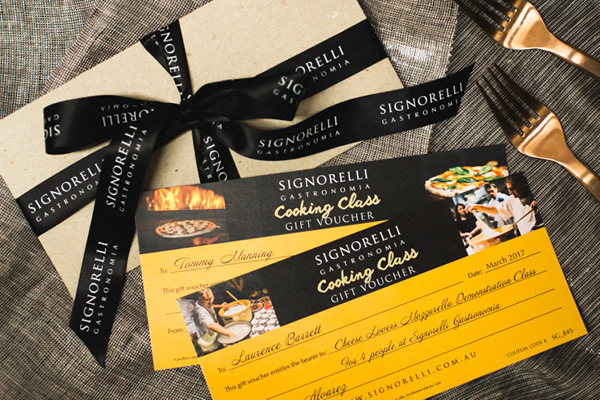 WHY NOT BUY A SIGNORELLI GASTRONOMIA COOKING CLASS VOUCHER? Signorelli Gastronomia vouchers are the ideal gift for foodies with a love for authentic Italian cuisine. Each voucher comes beautifully wrapped and delivered by post, allowing the recipient to put the value towards any of our Pasta and Salami cooking classes or Mozzarella demonstration class.